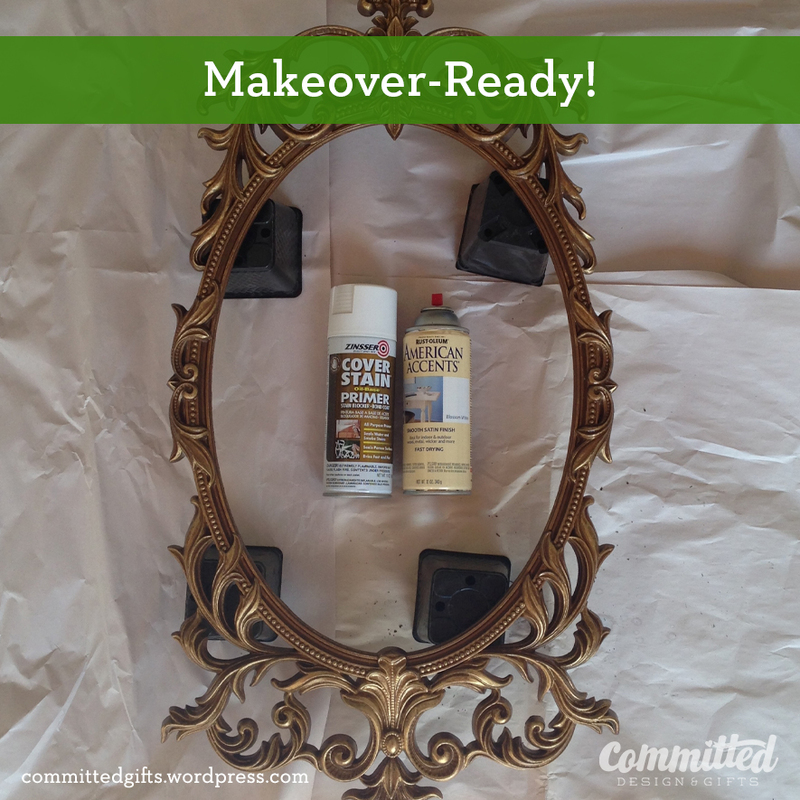 Makeover Monday: Making A Dated Mirror Modern | Committed. How pretty and modern do the mirrors look? Also, the cabinets are the cheap, assemble-yourself kind, updated with nicer handles. Cute, right? 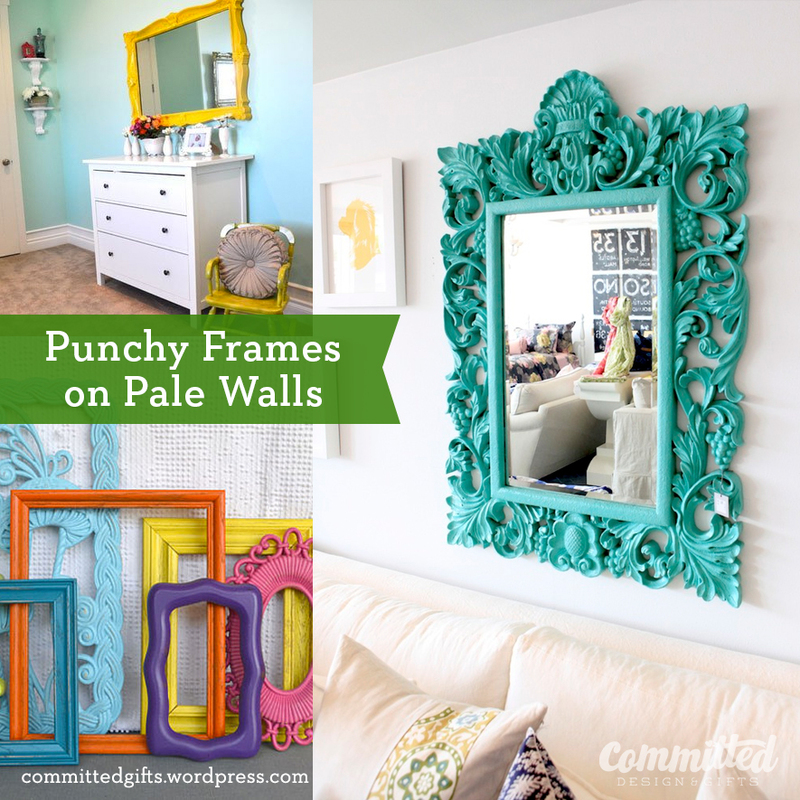 Bright frames cheer up a room too! 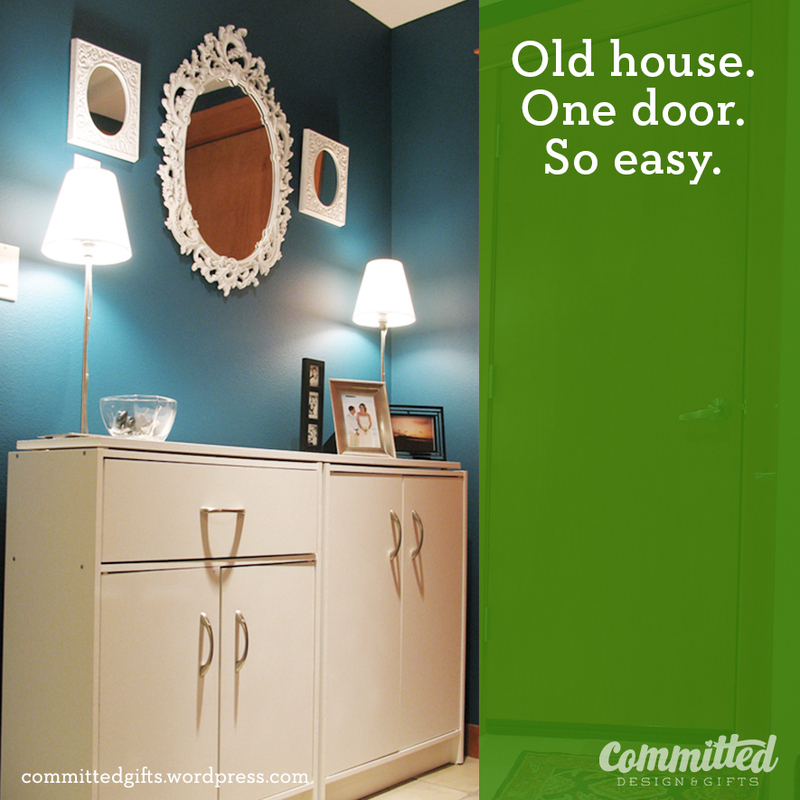 Photos clockwise via: ApartmentTherapy, Our Lake Life, Etsy. I was perusing my local Goodwill last month and found ANOTHER mirror! Cheap! I snagged it up and decided it was destined for a paint job. A friend had always admired our entry frame, so I decided this one was for her. Since I had only black or white paint on the ready, she picked white. Mirror in an ornate frame. The more flowery, the better! Make sure the mirror is screwed in, not glued in. If it’s glued, pass it up. 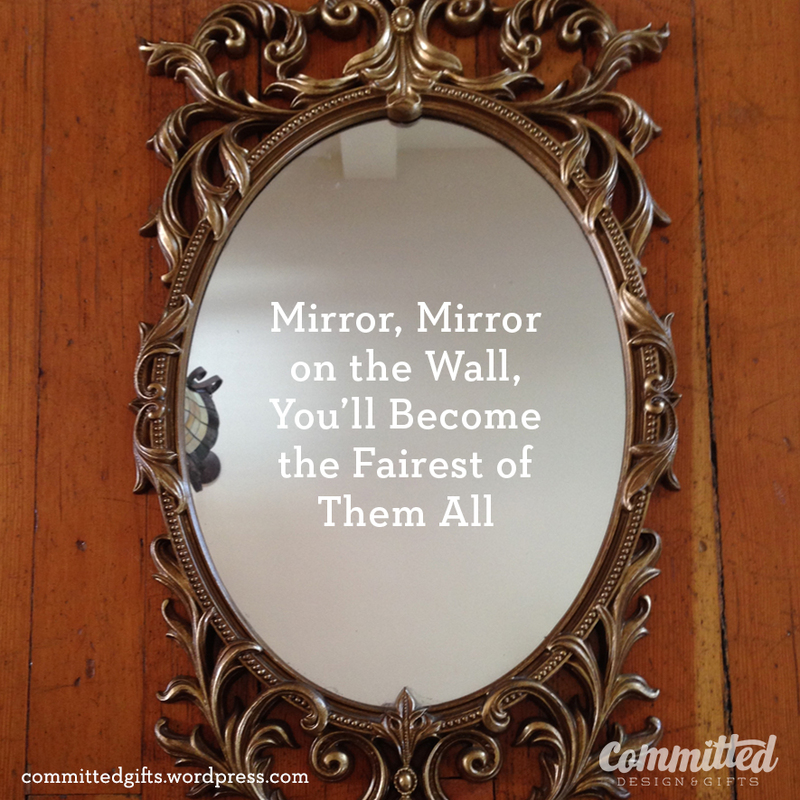 You’ll either break the frame or the mirror. Glass cleaner and paper towels. Damp cloth to wipe dust off the frame. White spray primer appropriate for your frame’s surface (I used one that works with plastic). Drop cloth, cardboard, or paper to protect the surface. Something to elevate the mirror (I used small pots). Disassemble the mirror. Save your screws! Wipe down the frame and clean the mirror. Let frame dry completely. Set up the frame on cans, blocks, etc. This allows you to get the edges completely, and keeps the frame from sticking to the drop cloth. Prop the frame up off the floor. You’ll need to get the edges to make it look finished. Spray primer on the frame in short, light bursts. Follow directions on the can, especially when it comes to ventilation. 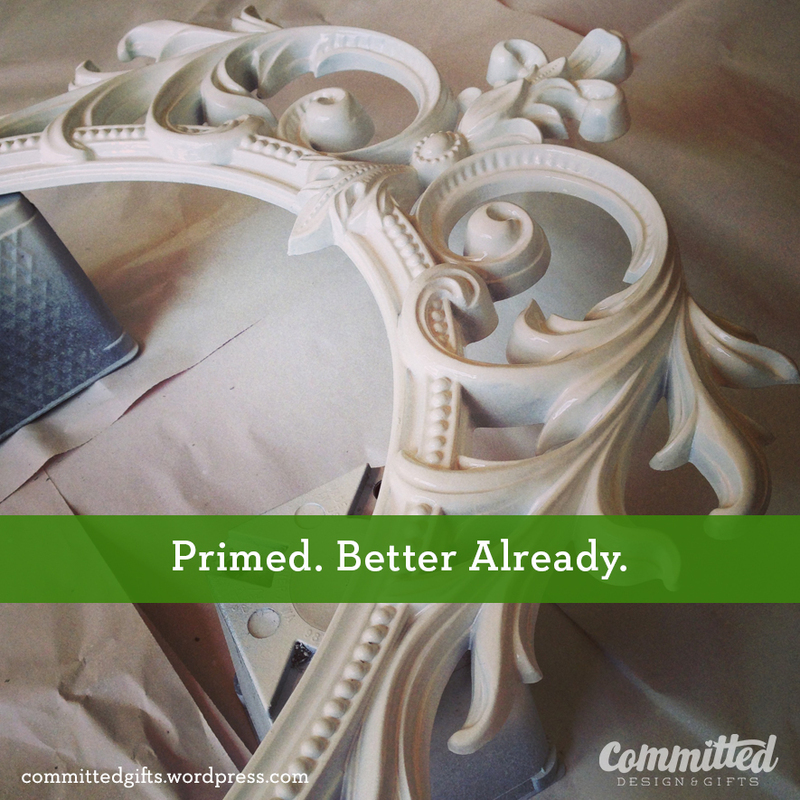 Let primer dry according to directions. Spray paint in short, light bursts. It’s better to do several light coats than load it up with paint first! Drips are your enemy! See how tricky it is to get in all the nooks and crannies? Go light and spray several coats. Bright, fresh, and modern glam! Would you try something like this in your home? 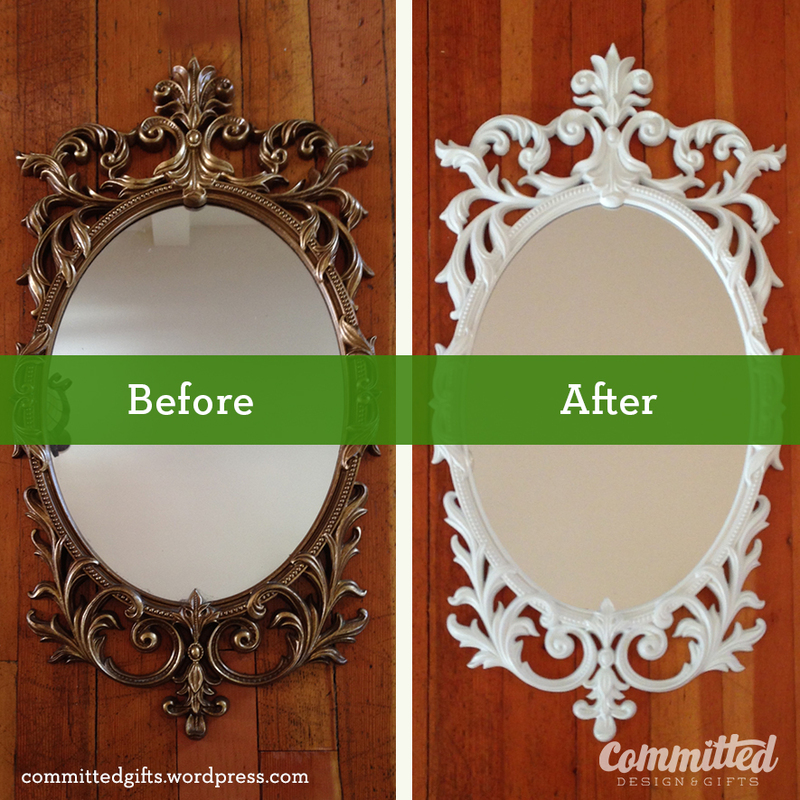 What are some of your favorite frame makeovers? So pretty!! 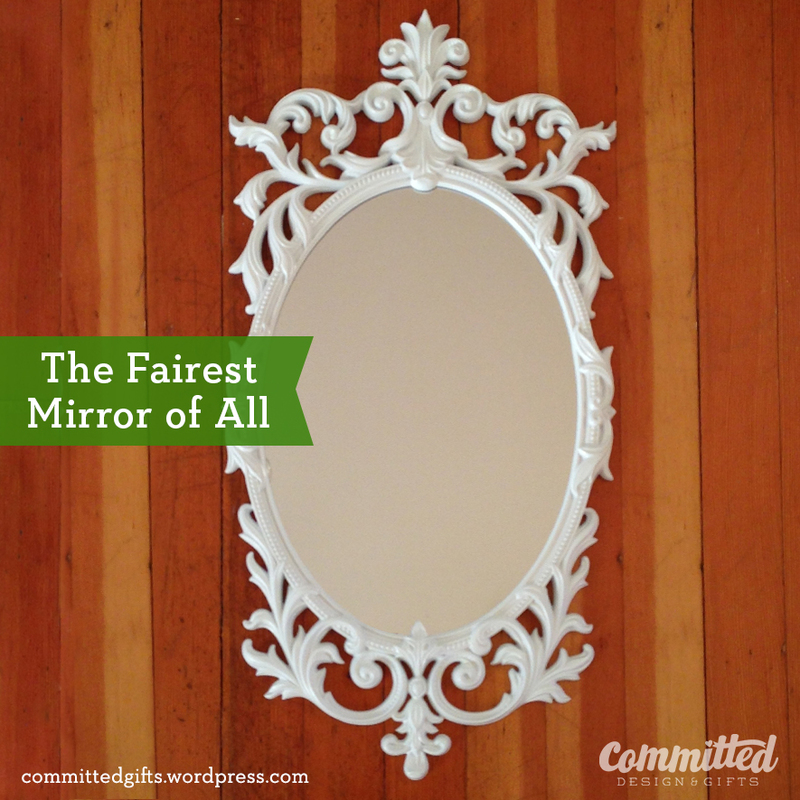 I have an ornate plastic mirror similar in my closet that desperately needs some spray paint. Gorgeous! I love how easy it is to paint a bunch of stuff the same colour to make them all cohesive. Thanks! Paint can be magic!